Whitcombe is a small village in Dorset. It has a small, picturesque church owned by the Churches Conservation Trust. There are two barns. 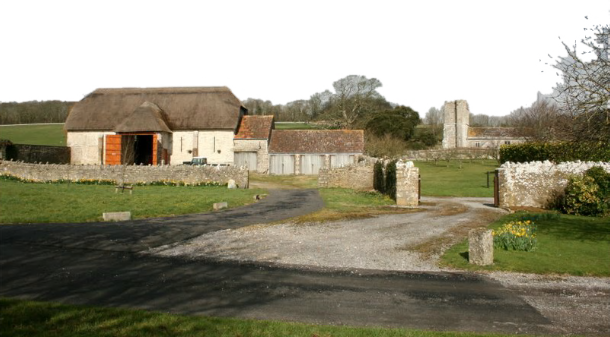 The minor barn is an eighteenth century, five bay barn with a half-hipped thatched roof. It has a central midstrey with a wagon porch which has a hipped, thatched roof. It is still in agricultural use. The major barn is late seventeenth century, built of brick and rubble. It has seven bays and a hipped thatch roof. There are two wagon porches with hipped roofs. It has been converted into stables. Both barns are in good condition and privately owned.